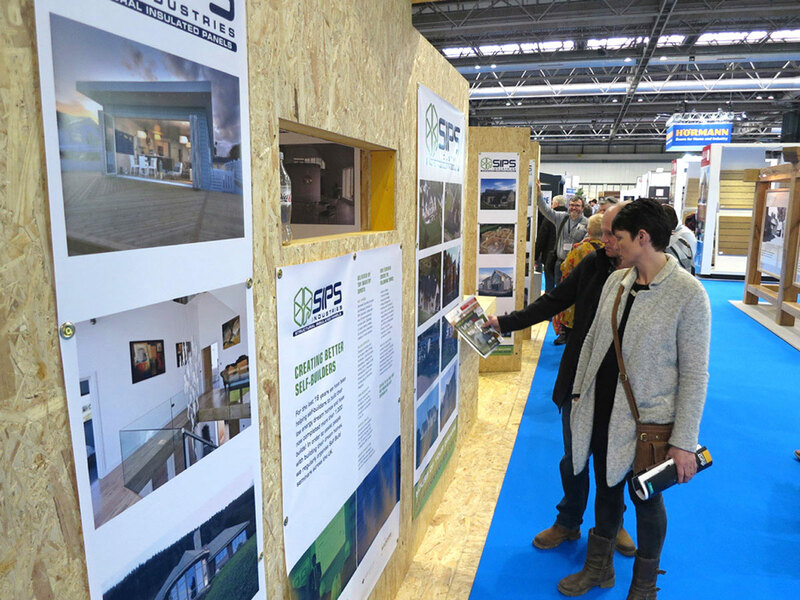 We spoke to thousands of self-builders at the Homebuilding & Renovating shows we exhibited at in 2018. After each show, we met as a team and discussed the questions we were asked. We decided to gather the top 10 most frequently asked questions and provide answers for these on our blog! As SIPS are manufactured in a factory it makes them more dimensionally accurate than, for example, timber frames that are cut on-site. This also limits the number of gaps in the construction. Combined with the airtightness that oriented strand boards (OSB) provide and the minimal levels of air leakage achieved by the insulation core, this can meet even the strictest requirements for passive house projects. Cold bridging refers to the elements of the structure which connect from the outside of your building to the inside. As you will know, this negatively affects the thermal efficiency of the house. There are two areas where this happens: repeated (vertical timber studs in a timber frame) and linear (at horizontal junctions around the building). In a timber frame building, the spacing between the vertical timber studs within the walls is 600mm centres. In comparison, in a SIPS wall, they are 1,200mm centres, therefore reducing the amount of poorly performing timber by half. This dramatically lowers the repeated cold bridging in the building. As SIPS are manufactured in a factory, the manufacturing phase is performed in a dry and safe environment. This also reduces the time needed to erect the building. A typical two storey, 200m² house can take just 10 days to factory fabricate and then 5-10 working days to erect on site. Houses built with SIPS give almost limitless design possibilities. You can achieve both traditional and contemporary design. SIPS are perfect for large, open plan, flexible spaces. You can also create vaulted ceilings and glazed gables. This can be achieved as the roof panels are structural, therefore removing the need for traditional roof trusses. IN COMPARISON TO BRICK, HOW LONG DOES A SIPS HOUSE LAST? In the USA, SIPS constructions have been built for decades and Timber constructions have been used in Scandinavia for over a hundred years and there have been no adverse effects observed. As long as the kit is kept dry there is no reason for a house to become damaged. This is achieved through the effective installation of a membrane both inside and outside of the construction. A SIPS building should last a minimum of 60 years, but as mentioned above, if the kit is kept dry, the SIPS house should last much longer. WHAT IS THE COST DIFFERENCE BETWEEN BUILDING A SIPS AND A BRICK HOUSE? In terms of money spent on the kit, it is more expensive to design, manufacture and install for a SIPS home. However, as the on-site construction process is much quicker the final cost is about the same. The erection of a brick house, for example, takes around four times longer than a SIPS home. One of the reasons for this is that you can only do so many courses at one time, as one course needs to dry before you are able to move onto the next one. Weather is also a major factor, which does not affect SIPS but does affect most other forms of construction. Ultimately, even if the final cost of a SIPS house is more expensive, you can achieve a better performing, more airtight, thermally and structurally efficient home using SIPS. WHAT KIND OF EXTERNAL FINISHES CAN I USE WHEN BUILDING A SIPS HOUSE? There are no specific requirements or limitations for external finishes when building with SIPS. You can use anything you like: timber cladding, composite cladding, metal cladding, render, stonework, slips or brickwork slips. The external finish is purely cosmetic. You have the same range of choice with the roof coverings. You can pretty much use whatever you want: slate, concrete tiles, metal cladding, or even timber shingles. IS SIPS RECOGNISED BY MORTGAGE AND INSURANCE COMPANIES? Traditionally mortgage and insurance companies only accepted established methods of constructions like brick and block. However, timber construction has been commonly used for decades and has started being accepted by mortgage and insurance companies. SIPS method of construction is now mortgageable in line with all other forms of construction. SIPS is much younger but it is a variation of Timber construction and has been used in the UK for almost 20 years now. Although it is still not used commonly, there are a growing number of insurance companies which now recognise SIPs as a standalone method of construction and will give you a mortgage, insurance or warranty for your SIPs home. However, some of them will still insist on a blockwork external leaf. Companies like Buildstore can help you find the best offers for your project. Often local councils insist that you achieve a high SAP rating to be awarded planning approval. 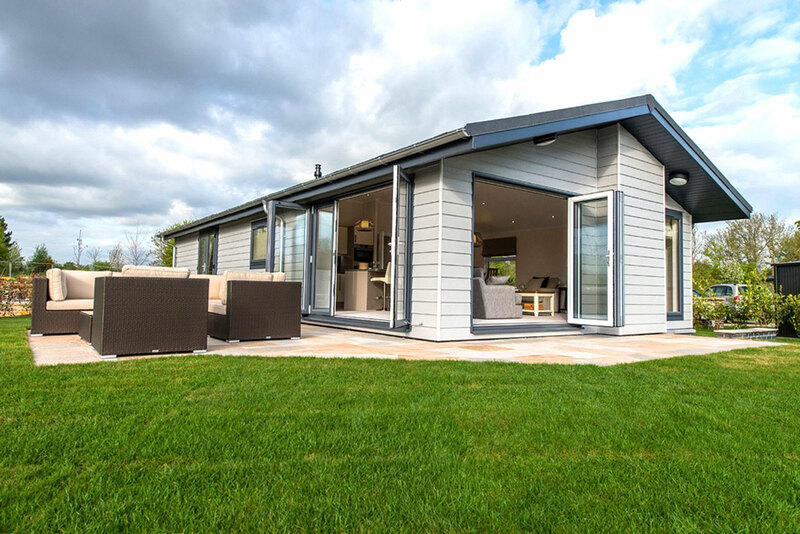 A SIPs house will provide a highly efficient thermal envelope, which results in lower running costs, therefore, generating a higher SAP rating, thus increasing your chances of being awarded planning approval. WHAT IS THE SPEED OF BUILDING A SIPS HOUSE? SIPS is constructed on site very quickly, taking a quarter of the time used for traditional building methods. A typical SIPS house may be built within a week or two depending on complexity. That includes the whole structure – External walls, roofs, Internal structural walls etc. Once the windows are fitted, external cladding and roofing fitted your building will be watertight and trades can start on the internals. CAN A SIPS KIT BUILDING GET MOULD? No, because your architect will detail the design in a way that your building will be protected. Furthermore, the breathable membrane around the building allows air to escape but prevents moisture getting in. Efficient airflow is also achieved due to the Mechanical Ventilation and Heat Recovery system which ensures the correct amount of fresh air flows throughout the building. HOW DOES MECHANICAL VENTILATION WITH HEATING RECOVERY WORK? As mentioned above a SIPS home is immensely airtight. Because of this, traditional windows with trickle vents are not sufficient and a mechanical ventilation system is required. This will provide your house with a controlled amount of fresh air to ensure maximum comfort for your family and optimal energy efficiency of your build. This is a measuring unit describing how much heat is lost through the building. It is measured in metres squared Kelvin per Watt (m2K/W). The amount of heat that passes through the fabric of the building over a year. The lower the number the better. WHAT ARE THE MAIN DIFFERENCES BETWEEN SIPS PRODUCTS? The two distinct differences between SIPs products are insulating materials & jointing methods. The two most common insulating materials used in the manufacturing of SIPS panels are EPS (expanded polystyrene) & PUR (polyurethane). 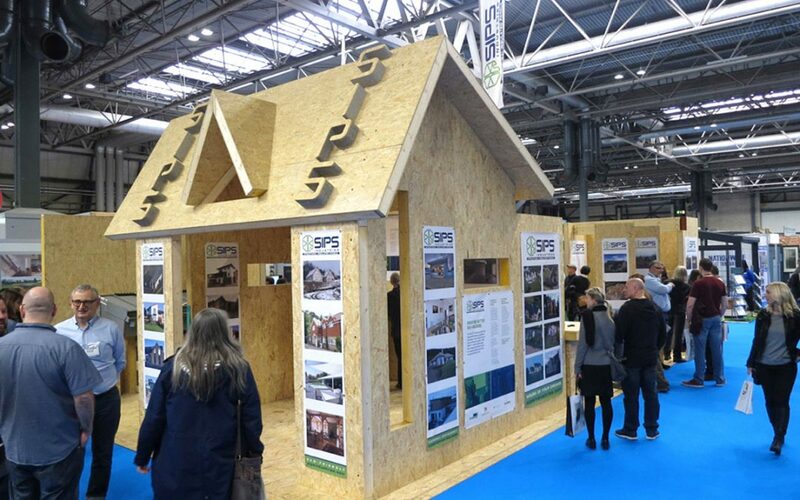 EPS comes in block format and has a consistent thermal cross section, it is then bonded to OSB (Oriented Strand Board – this is the board used on the inside and outside of the panel) to form the SIPS panel. PUR consists of chemicals blown into a pre-formed ‘frame’, these chemicals react & expand, like a cake mix. When expanding the material it becomes dense as it gets restricted by the framing boards resulting in a non-consistent thermal cross section. 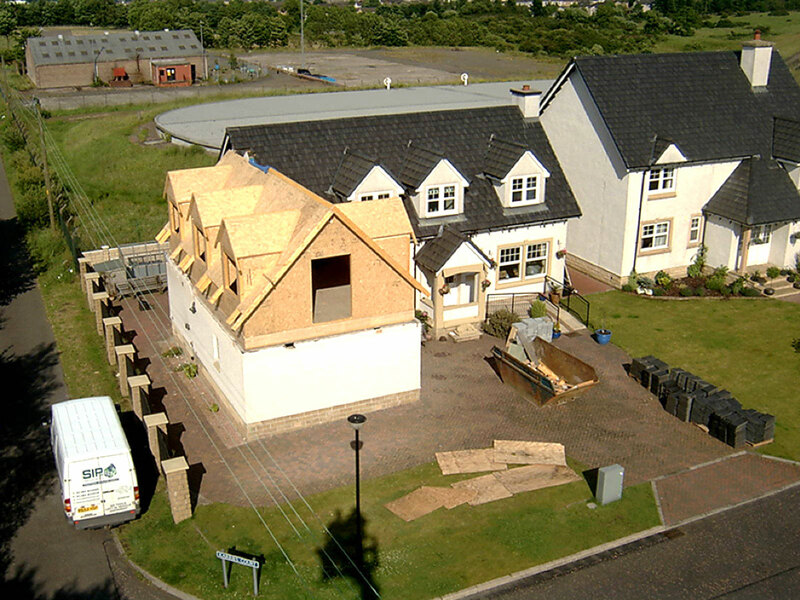 There are three main connecting methods, OSB thin-splines, mini SIPS spline & timber spline. Timber splines are considered to perform better when it comes to structural strength, OSB thin-splines & mini SIPS splines are better performing when it comes to limiting cold bridging but cannot always be used as their application is limited, usually by strength. We hope you found this article helpful and remember if you have any further questions, please do not hesitate to email or call us.